I am Mumico, a Taiwanese girl who was born in Kaohsiung, the second largest city in Taiwan. I finished my medical degree last year, and this year I will begin a Masters degree in theater directing in the United Kingdom. I will soon turn 27. My identification journey is somehow funny. I have been fond of boys since kindergarten and had my first experience of being attracted to a girl in high school. The first sexual orientation identity I had was entirely heterosexual. It was not until my fourth year in college (at age 21) that I started developing my bi identity. This process began at my college during freshman year. My best friend was developing his gay identity, so I started to think about mine. The first girl I liked was a high school classmate who was a butch, and I liked her the same way I liked boys. So I thought myself to be completely heterosexual. Even though I had liked a girl, I liked her in a heterosexual way. Nonetheless, my best friend really introduced me to the world of gender variety. I felt emotionally close to gay people, realizing when we shared our love stories with each other there was no difference between my gay friend and I. This motivation pushed me to search for more information about gay literature, gay rights and gay movements. Meanwhile, I continued my own process of self-exploration. During my two-year journey from heterosexual to bisexual identity, I sometimes identified myself as gay (female gay) when I was strongly aware of my inner boy aspect. There were times I regarded myself as being somewhat of a transgender, queer or pansexual. These identities all represent parts of me, and I have always been interested in knowing more about my potential. I came to realize that I could be more than heterosexual when I was attracted to a feminine girl in my third year of college, so I was somewhat aware that I was bisexual. But I wasn’t motivated to adopt this identity. I simply accepted who I am, and identity is simply the result of knowing. I embraced my bi identity firmly two years after participating in a bi group. To me, social movement is as important as any other factors that form an identity. I haven’t faced much difficulty when coming out as bi. On one hand, it’s probably because I appear pretty heterosexual on the surface and have never dated a girl, so I’m not read as bisexual. Also, people have a limited understanding of the term “bisexual,” so they don’t know how to feel about it. Most of my longtime acquaintances to whom I’ve disclosed my bisexuality already saw me as a nice but unusual person, so I don’t think they were too surprised when handed this new information. I am fairly out in public, and will let my parents know someday because I am definitely going public to promote bi rights, but I have had difficulty in telling them so far as I am still dependent upon my family. In terms of religion, the attitude toward gender issues varies among different branches of Buddhism. I am the kind of Buddhist who relates more to its philosophy than to its rituals, and the Buddhist association I attend is supportive of gay rights. In fact, one of the masters of the association was just invited to be the wedding host for a lesbian couple. For these reasons, I see no conflict between my religion and my bi identity. 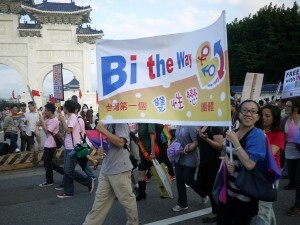 In 2007, I participated in the creation of Bi the Way, the first and so far only bi group in Taiwan. Before, there was only an online chat board where bi people could meet. Discussions of bi issues increased gradually on the board, someone suggested starting a bi group, and that’s how it kicked off. Since then, we have held meet-ups and workshops for bi people, run online bi networks, collaborated with other LGBT groups and offered lectures to colleges and cultural clubs. In Taiwan, the pressure against LGBT people is not as prominent, and the conflicts less severe than in many other areas of the world. Only recently have we experienced pressure from religious groups regarding gay rights policies. The strongest oppression is from the patripotestal structure. Chinese culture strongly values the family and sees the father as its head, which makes the crisis domestic and recessive. Therefore, some bi people are under more pressure than homosexual people for they are thought to have “the chance to be normal.” But basically, the mainstream media still has a monosexual focus; discrimination against bi people is not that evident, and is mainly hidden within families, couples, friends and communities, making it difficult to gather people to form a movement. During my five-month visit to the US in 2012, I was grateful to meet bi activists in Minnesota, New York and Los Angeles, and get involved with the local bi community in Los Angeles. I observed several differences between Taiwan and the US. First, I was shocked to know how serious bi erasure is, and how unfriendly the mainstream lesbian and gay culture in the US is toward bisexuals. 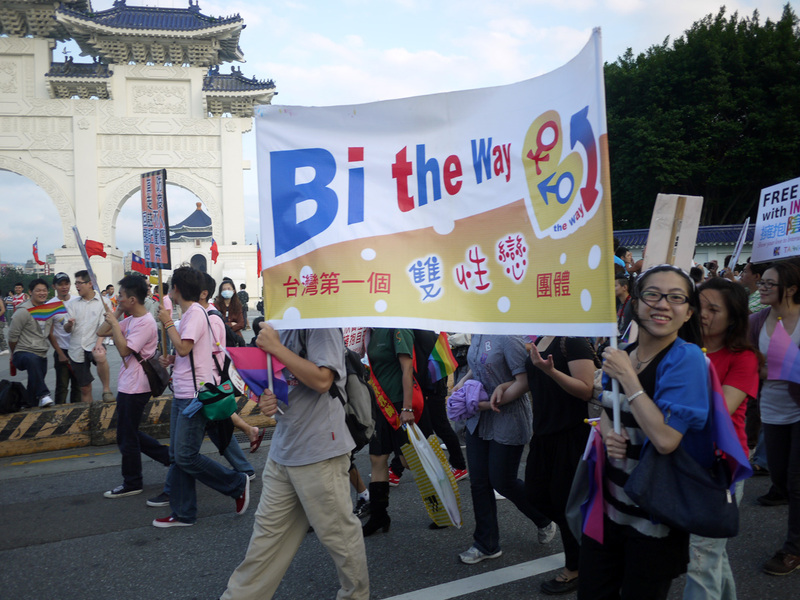 Mainstream LGBT associations in Taiwan are pretty supportive of the bi movement, despite the fact that they have a limited understanding of bisexuality and would sometimes act against our interest. Second, I found that many identities such as pansexual, asexual and multisexual are specified in the US, whereas in Taiwan we want to break the classification so we don’t emphasize the division. But I also learned the advantage of naming: that people can be gathered once they are seen. Third, I was also impressed to see the formation of polyamory groups, for it’s still difficult to form any in Taiwan given the stigma. Though bi people in different cultures face different situations, the erasure of bisexuality is a worldwide phenomenon, and it seems that we share responsibility for challenging rigid frames. I think it is very important to meet and cooperate with bi people across the world, to discuss shared issues and experiences. I am looking forward to meeting bi people in the UK while studying abroad. These experiences will definitely help us operate our own group and improve not only the situation of bisexuals but also of gender minorities in Taiwan, and I hope that someday I can help others by sharing our stories. 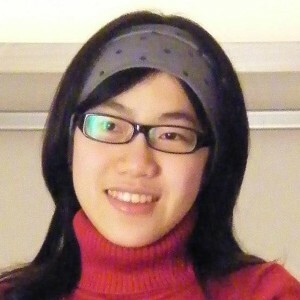 Mumico enjoys visiting bi people worldwide, and would like to invite everyone to visit Taiwan. All bi & bi-friendly community members welcome to attend this monthly meeting. Info: Ellyn at brc@biresource.net. At the Boston Living Center, 29 Stanhope St. near Back Bay station on the Orange Line. A peer led support group for women in a straight marriage/relationship struggling with sexual orientation or coming out. Info: kate.e.flynn@gmail.com. Meets on the second Monday of each month. Mixed gender bi group meets 3rd Saturdays at Johnny D’s on Holland St. in Davis Sq., Somerville, near Davis stop on the Red Line. Bring a potluck dish to share. A great opportunity to meet other bi and bi-friendly women in the Boston area. Info/RSVP to frances@gardenofwords.com. A NEW peer led support group for women in a straight marriage/relationship struggling with sexual orientation or coming out. Info: appleday621@yahoo.com. Meets in Amherst, first Tuesday of each month from 6-8pm.